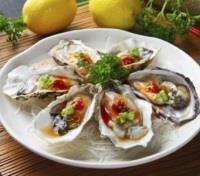 Taste oysters, cheeses, wines, and more on private guided gastro-tours. 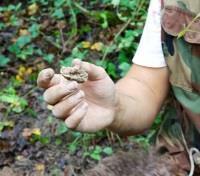 Hunt for exotic truffles with a local hunter and his dog in Istria. Delight in a chef's table dinner experience. Enjoy a cooking lesson in the home of a local family. Curated selection of luxury accommodations. Delight in oysters fresh from the farm, hunt for wild truffles, and cook with a local family. 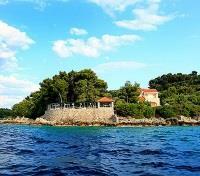 An authentic experience through the gastronomic landscape of Croatia awaits! Enjoy a private transfer to Rovinj with a guided 4-hour stop at Plitvice Lakes with picnic lunch. 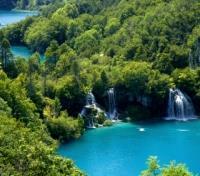 Visit Plitvice National Park, a complex of 16 lakes located between the mountains of Mala Kapela. The 19.5 hectares of wooden hills enclose the lakes by a series of waterfalls and cascades. Admire the landscape formed by the mineral-rich waters that carve new paths through the rock, and enjoy your a delicious picnic lunch of sandwiches with homemade local prosciutto/sausage and cheese, fresh fruit, local Plitvice ’’strudel’’ and drinks (local beer, water or soft drink) surrounded by nature. You will meet your local guide at the park before entering. Entrance fees and picnic lunch are included. Set in a lush Mediterranean landscape on a hillside, the Monte Mulini hotel overlooks a beautiful small bay and offers sweeping sea views. At the same time it is only a short stroll along the marina from Rovinj, one of the most picturesque and romantic towns in the Mediterranean. 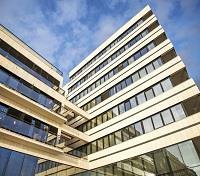 The hotel features a bold architectural concept, with warm, natural materials, carefully selected details and a perfect synergy of design, functionality and elegance. Featuring modern French cuisine and boasting the widest wine list in Croatia, the restaurants at the Hotel Monte Mulini have helped redefine the area’s culinary scene. Meanwhile, the spa which was inspired by the Mediterranean, is made up of a three-story Art, Wellness & Spa Centre and includes hydrotherapy pools, saunas, relaxation zones and 12 treatment rooms. With four pools and a range of sun loungers and bar seating, the 4,300 square-foot pool complex overlooks the sea and Lone Bay and is the perfect spot to relax and unwind! Meet your guide and driver at the hotel for a full day tour of Istria. Best known as the truffle region, Istria is a fine mélange of picture-perfect landscape and exquisite gastronomy. It’s rolling hills are dotted with small towns and hilltop villages while the coastline boasts with quaint seaside retreats. Your exploration starts in the inland, in the village of Livade, where you will learn about harvesting truffles in a private truffle hunting demonstration with a hunter and his trained dog, followed by a light snack of truffle products in a local tavern. Walk the charming hilltop town of Groznjan and enjoy its artistic atmosphere, as it abounds in quirky galleries and art studios. 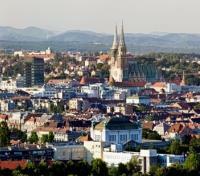 You will also discover a small wine region, which provided Austro-Hungarian aristocracy with wine. 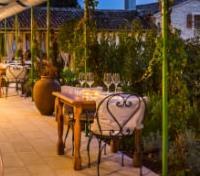 Enjoy private wine tasting at the local winery as the perfect end of your tour. Meet your private driver for a transfer to Restaurant Meneghetti, situated among Istrian vineyards and olive groves 30 minutes southeast of Rovijn, at the Relais & Chateaux Wine Hotel & Restaurant Meneghetti. In the ambiance of a typical Istrian country house restaurant, you'll experience gourmet bliss, enjoying a 5-course dinner with wine pairing at this renowned restaurant. With a seasonally changing menu, and creative and skillful treatment of top quality, fresh, authentic local ingredients, a delightful gastronomic experience awaits. Meet your driver for a private transfer to Zadar. On your way stop in Otocac for lunch in the local restaurant Vrilo Gacke by the Gacka River, where you can find the best trout in Europe. Vrila Gacke is a family run restaurant where you will get a chance to taste the region’s traditional specialties with a 3-course lunch including water (other drinks excluded). 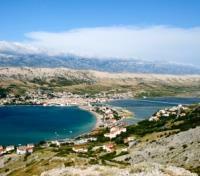 Meet your private guide and driver for a full day tour of Pag Island, an oasis of wild beauty. Unusual shapes, long coastline, abundance of cultural monuments and the delicious local specialties make Pag a not-to-be-missed destination. With breathtaking views around you, drive to the small village of Kolan. Gourmand experts and food lovers all around the world agree that the Pag Cheese is one of the best there is. Its solidity, saltiness and the essential oils give it a specific taste, fragrance, and recognizable flavor. You'll visit a local cheese manufacturer and enjoy a delicious private Pag cheese tasting, discovering the delights of this local delicacy. Afterward, you'll be treated to lunch at one of the local restaurants where you can taste the traditional Pag lamb on a spit, or peka - baked vegetables and meat prepared with herbs and olive oil. In the old town of Pag, learn about the centuries-old tradition of making the widely known crochet lace. Home to the only lace-making school in Croatia, Pag cherishes dearly its intangible cultural heritage. Conclude your day back in Zadar. This morning meet your private guide and depart on foot for a two-hour walking tour tour of Zadar, the town of rich cultural and historical heritage. An ancient Greek foundation under the name of Iader, later an important jewel in the Venetian crown as Zara and today the centre of the region, Zadar is a town-monument with layers of history that can be revealed on every step. Centuries-old tumultuous history, numerous destructions and reconstructions have left scars but also a rich historical legacy and today's valuable monumental heritage of the city. Your guide will take for a walk through the cobblestone streets, from the church of St. Donat and the Cathedral of St. Anastasia, to the Benedictine convent of St Mary and the largest Roman forum on the East of the Adriatic, founded by the first Roman Emperor Augustus. 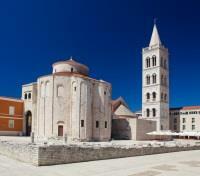 You will also discover some contemporary attractions of Zadar. One of them is the Sea Organ, the site that is a blend of human ideas and the energy of the sea, a place for relaxation and contemplation with the sounds of the endless concert of the Orchestra of Nature. Walking further down the waterfront, you will discover the Greeting to the Sun, an impressive urban installation. Simultaneously with the most beautiful sunset in the world, the lightning elements turn on and produce a marvelous light show in the rhythm of the waves and the sounds of the sea organ. 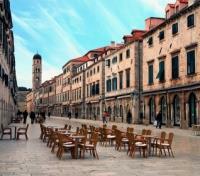 Enjoy a private transfer from Zadar to Split. 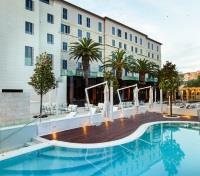 Hotel Park is situated in the beautiful 1700 year old UNESCO -protected city of Split, next to the famous beach Bacvice. 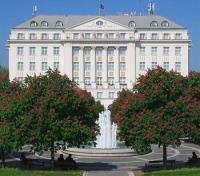 The hotel exudes classic sophistication with a modern flair, and remains the most prestigious venue for all social and political events in Split. Guest rooms and suites are lavish, with a touch of Mediterranean past times, and feature luxurious amenities. Dine at the century old oasis of gastronomy at Bruna Restaurant; offering traditional specialties and modern meals to satisfy even the most demanding palates. Relax and rejuvenate at the outdoor pool, private hot Jacuzzis, fitness room, and at the Spa & Wellness center. Meet your guide in the hotel lobby for a private sightseeing tour of Split, a 1700 years old town with famous Diocletian’s Palace, included in the UNESCO’s World Heritage list. 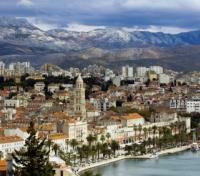 The first inhabitant of Split was the Roman emperor Diocletian who started to build his palace in this friendly bay around 293 AD. Your guide will take you for a walk through this living monument and all its magnificent sights. You will discover the basement halls of the Palace and their unique role in the history of Split. 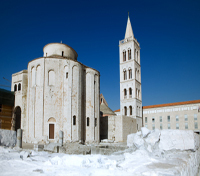 In Peristyle, the main square of the Palace, you will visit the Cathedral of St. Domnius, the patron-saint of Split. Your walk will then take you to the Split City Museum, situated in the beautiful Gothic-Renaissance Palace of the noble family Papalic. After some time at your leisure, your driver and guide will take you outside the city walls, to the Meštrović Gallery that celebrates one of the most famous Croatian artists of the 20th century – sculptor Ivan Meštrović. It exhibits most of the sculptor’s work within the permanent display, respecting the given space of the building, an artistic monument itself. 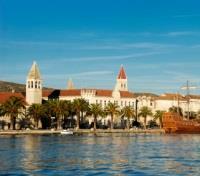 Afterwards you will continue to Trogir – set on a small island just off the mainland. Trogir is a tiny charming town surrounded by impressive fortress walls. As you enter the fortified town through the Land Gate, you will stroll along its narrow streets, flanked by ancient stone houses. In the walk through this picturesque town you will come across numerous valuable edifices, such as the St. Lawrence Cathedral with a magnificent 13th century Romanesque portal; the Old City Hall from the 15th Century, the Kamerlengo tower on the relaxing waterfront promenade and many others. After some time on your own, your guide and driver will take you back to your hotel. Meet your guide for a private tour of Split Hinterland with a visit to a local family for a unique cultural and culinary experience. Your first destination is the small town of Sinj, home of the famous equestrian competition Sinj Alka. For 301 years, every first Sunday in August, local men put on their traditional costumes, ride festively dressed horses and run Sinj Alka to commemorate a Croatian-Venetian victory over Ottomans on August 14, 1715. It was the local Christian population of around 700 Croats in cooperation with a smaller number of Venetians that managed to defend Sinj against 60,000 Ottoman soldiers. You will also visit Sinj Alka Museum. Continue to Grab and five picturesque old mills dotted along the winding little river. 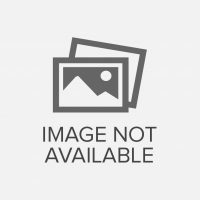 They have remained to this day in their original form and are still regularly put to use. With the spectacular views of Cetina River Canyon, you will continue your ride through the beautiful countryside. This secluded area had a great significance in the Croatian history – it was a home of the unique Poljica Republic, an autonomous community that existed in the Middle Ages. In the small village of Gata, you will be welcomed by a local family in their humble home. 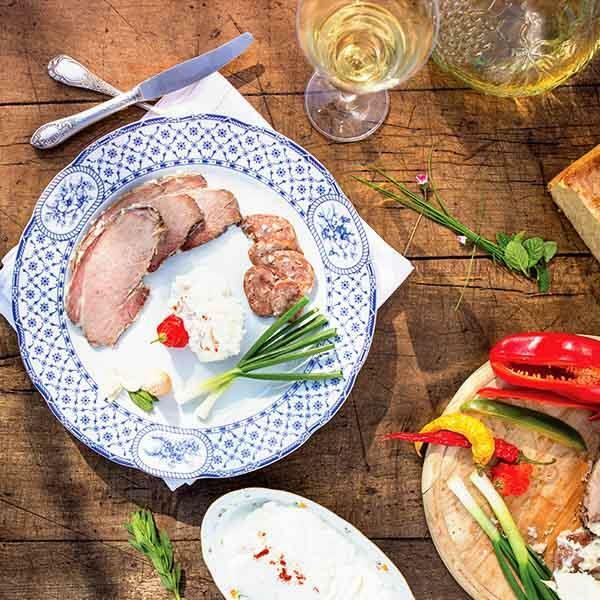 They will show you how to make the traditional specialty from the Poljica Republic period – Soparnik. With the alluring scents of the local Dalmatian cuisine, you will enjoy this fine delicacy whose original recipe resisted the flow of centuries. 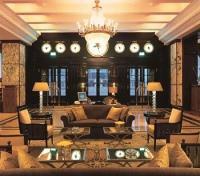 Since opening in 1913, the Excelsior has become an iconic landmark among the five-star hotels in Dubrovnik. This time-honoured building – a blend of old and new – is uniquely located on a cliffside, with magnificent views from every floor, over to the island of Lokrum in one direction and the Old Town in another. 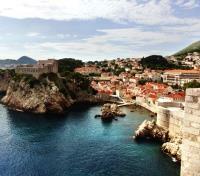 The hotel lies at the foot of Croatia's sun-kissed southern tip across from Italy in the Adriatic Sea, just 20 minutes from Dubrovnik's international airport, within walking distance to the historical Dubrovnik Old City and all the major attractions. Aside from the spectacular setting, the property also boasts tranquil gardens in which to stroll; four fine-dining restaurants - all offering panoramic views of the Adriatic Sea; and a private beach back-dropped by the UNESCO-protected Old Town.With superb facilities, fine location and excellent service the Excelsior is the perfect accompaniment to any stay. All 158 bedrooms including and 15 deluxe and 2 presidential suites provide guests with every modern amenity. The elegant terraces, with their stunning city and sea view, form part of the overall experience in a setting that is both truly intimate and archetypically Mediterranean. Meet your private driver for a transfer to the port, where you'll embark on a unique and romantic Elaphiti Islands experience this evening! Meet your English-speaking skipper and set out on a private sunset cruise to the Elaphiti Islands where you'll disembark for a delightful dinner (drinks not included) in the romantic setting at Villa Rose Restaurant. The Villa rises on a seaside rock in a deep shadow of pine trees and offers a haven of peace and serenity in one of the most romantic places on the Adriatic Coast.